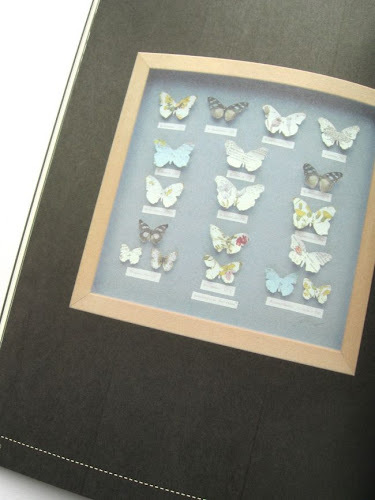 Are you a fan of the recent trend for taxidermy-themed crafts? 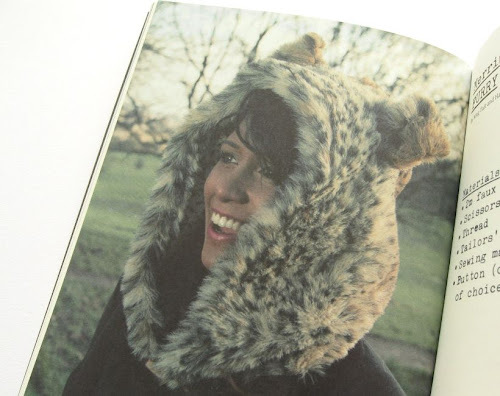 Well, I've found the perfect book for you: Craftydermy, edited by Tracey Benton. 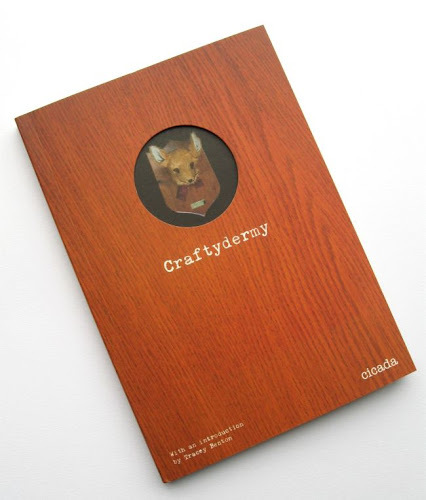 Craftydermy is a smallish book (about 8 inches high) containing 19 different projects, each one designed by a different maker/crafter. 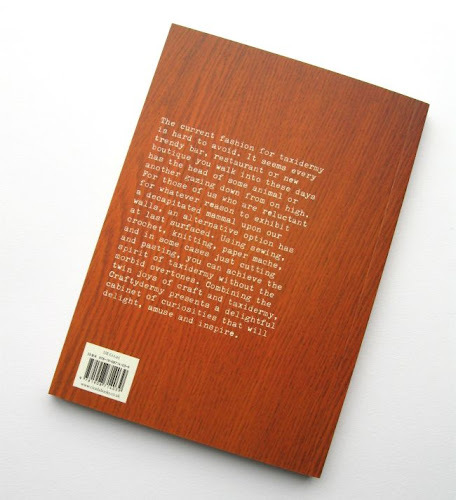 It's got a fun keyhole cover, the inside pages are lovely matte paper and all the project titles and materials lists (and a few other bits of text here and there) look like they've been typed on a typewriter, which gives the book a great handmade / DIY feel. 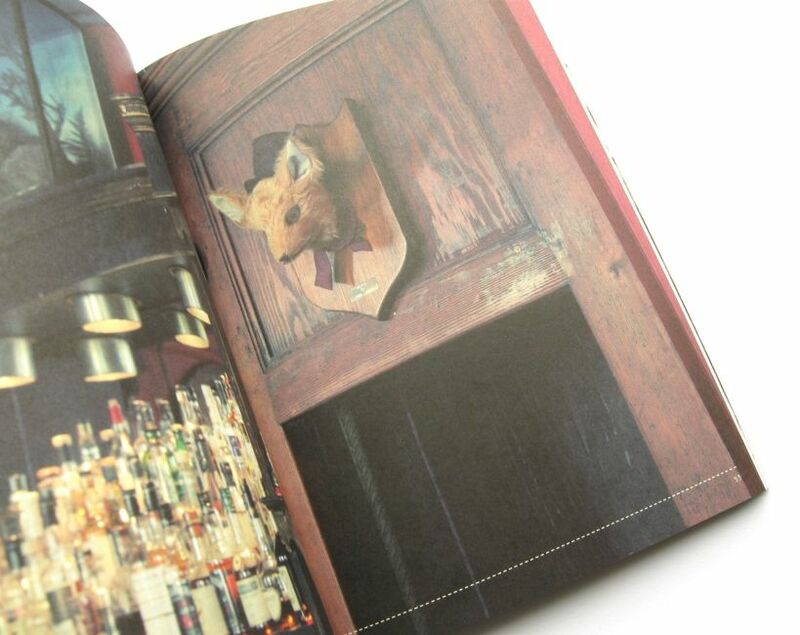 The entertaining and informative introduction discusses the history of taxidermy, the recent"disconcerting" resurgence of taxidermy-as-decor in trendy boutiques and bars, and how crafty interpretations of the trend means you can get the look without having a dead animal in your living room. 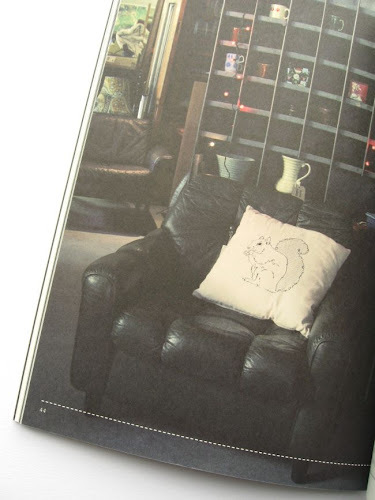 Then the rest of the book contains the projects - each with step by step instructions, and some step by step illustrations for difficult projects and steps. ... and more general animal-themed projects, e.g. 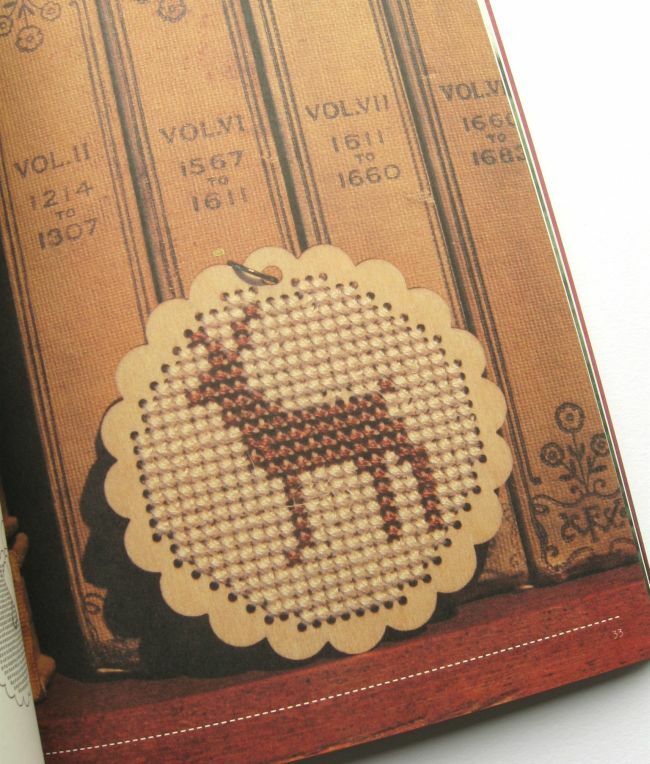 an embroidered squirrel cushion and a cross stitched stag pendant. If you expected the whole book to be full of faux taxidermy (a not unlikely assumption given its title) there's a chance you might be disappointed to find these projects in the mix, but I really liked these projects and I think it gives the book a broader appeal and usefulness (how many faux animal heads can you have on your wall, after all?). As you'd expect with a small book with how-tos for making large projects, the templates do need enlarging. Having to enlarge templates from books only bothers me when with a little effort / creative thinking full size templates could easily have been included, which isn't the case here. However is a bit annoying not to have clear instructions on what % to enlarge the templates by - some of the projects have that slightly frustrating instruction to "enlarge until X size" (just tell me what % to enlarge it by! don't make me measure the templates and do maths! I am not good at maths!) and others don't give a size guideline at all. Minor niggles about the templates aside, I think this is a great, quirky little book. If you fancy making some crafty taxidermy to decorate your home, or want to do some animal-themed crafting that's more cool than cute I think you'll enjoy making the projects in here! Craftydermy is published by Cicada Books. RRP £12.95. It's available from Amazon UK, Amazon USA, The Book Depository and many other bookshops.